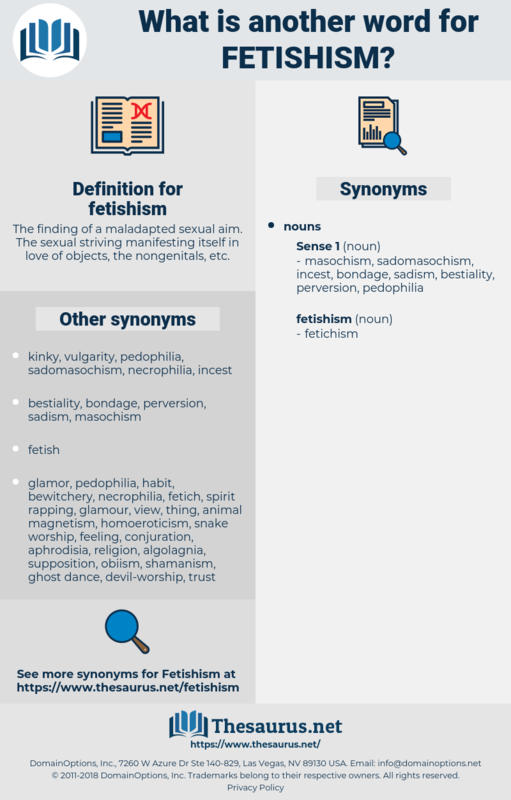 What is another word for fetishism? The finding of a maladapted sexual aim. The sexual striving manifesting itself in love of objects, the nongenitals, etc. Fetishism was represented as 'the very beginning of religion, ' first among the negroes, then among all races. One of them is that on which we have just commented, the assimilation between Positivism and Fetishism. fattism, food chain, fettuccine, fettuccini, fetichism, fatism.